Another adaptation will hit Chinese theaters this Valentine’s Day, and it’s going to be tough competition. Adapted from the popular Korean drama Autumn in My Heart, which aired in 2000, the film adaptation Autumn Fairy Tale <蓝色生死恋> will be blowing into theaters this Valentine’s Day, going head to head with Fall in Love at First Kiss <一吻定情> on the same day. Song Seung-heon and Song Hye-kyo for the Hallyu hit “Autumn in My Heart” (2000). Autumn Fairy Tale centers on a budding romance between two unrelated siblings—Junxi and Enxi. Due to a birth mishap, Junxi and Enxi were brought up believing that they were siblings, but an accident led to the reveal of Enxi’s true parentage. They had to be separated, but their reunion many years later lead to feelings beyond friendship. Jiao Rui (焦睿) stars as Junxi (played by Song Seung-heon in the original Korean drama), while Zhao Lusi (赵露思) stars as Enxi (Song Hye-kyo in the original). 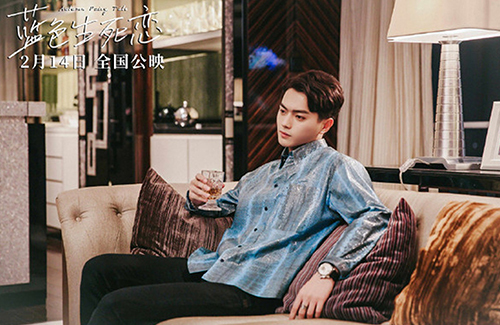 Story of Yanxi Palace <延禧攻略> star Xu Kai (许凯) also has a lead role in the film—playing Han Tai, a role original played by Won Bin in Autumn in My Heart. 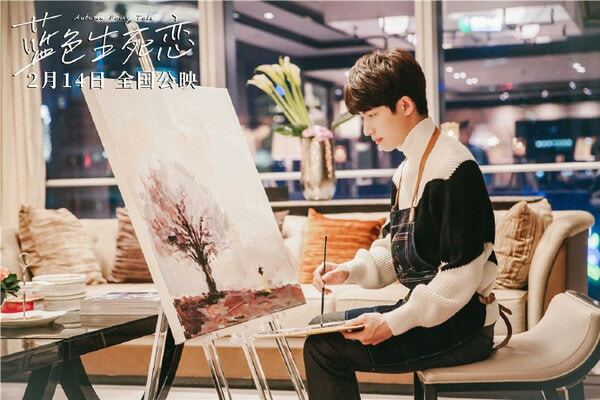 However, new developments have indicated will now be leading the film over Jiao Rui and Zhao Lusi—it is unknown whether or not it was Xu Kai’s role that was changed or the story itself. Autumn Fairy Tale also stars Meng Meiqi (孟美岐), member of Rocket Girls 101 (火箭少女101) and the K-Pop girl group Cosmic Girls (宇宙少女).